It the most populous among the cities and municipalities in the province of Surigao del Sur. Barangay Mangagoy, the downtown area often dubbed by its residents as "the little city within the city", is the center of trade and industry of Bislig which has a population of 32,464 as of the 2015 estimate. It is the largest barangay in the city in terms of population and land area. Since Brgy. Poblacion is often referred by the locals simply as 'Bislig', Mangagoy on the other hand is often mistaken as a separate town though it is only just one out of the 24 barangays that comprises the entire City of Bislig. In 2000, Bislig was converted into a city per Republic Act 8804. It is the easternmost city in the Philippines in terms of geographical location. The legendary allusions as to how Bislig got its name could be traced back to the era prior to the coming of the Spanish conquistadors. The town got its name from a forest vine of the rattan family that grew in abundance along the banks of its rivers. This vine was noted for its strength and became known for saving a royal couple who crossed the swollen river in one of their hunting expeditions and who almost died as they were carried downstream by the rushing current. The legend has it that these hunters had already lost hope of surviving until they were able to cling to a vine which was about 1/4 inch in diameter called Bislig. As a sign of thanksgiving, the ruler named this place Bislig. Historically, Bislig derived its name from the word “bizlin”, a kind of gold, “which is worth two pesos a tael. The weight of a tael is one and one-eight ounces” in the 16th century, which the natives used for trade and barter. Prior to the coming of Spaniards, this terminology was understood in Luzon and in Mindanao. In the report of the Administrator of Royal Properties Andres Mirandaola dated 8 September 1573 sent to King Philip of Spain that “much gold found in the island of Mindanao, District of Butuan, Surigao ...” It is believed that this kind of gold found in the rolling hills and mountains of the southernmost portion of Bislig and Agusan Province. However, historical records shows that the name has been variously spelled by the Spanish chroniclers. Conquistador Miguel de Loarca, in his extreme exploratory survey trip of the archipelago, first mentioned and spelled it "Beslin" in his historical accounts “Relacion de los Yslas Filipinas” in 1582, as well as in the Confirmaciones de Encomienda (1616–1700) which Bislig was under the encomienda of Alferez Juan delas Marianas in 1619. In the “Historia general de los religiosos descalzos del orden de San Agustin” of Fray Andres de San Nicolas in 1664 spelled it "Bislin" and also in the “Historia general... del Orden de San Agustin” of Fray Luis de Jesus in 1681. A Franciscan writer, Fray Juan de San Francisco de San Antonio spelled it "Baslig" in his “Cronicas” in 1738. Other Spanish chroniclers spelled it "Bislic" and "Bisliq". In the first detailed map of the Philippines in 1749, published in “Historia de la Provincia de Filipinas” by a Jesuit, Father Pedro Murillo Velarde spelled it Bislig, as did in the “Historia General ...” of Fray Pedro San Francisco de Assis in 1768 and in the “Mapa dela Provincia de Caraga” by Francisco Alegre in 1751. A complete statistical data of District of Caraga compiled in 1750 spelled as "Bislig", and also in the document titled “Provincia de San Nicolas de Tolentino de Agustinos descalzos dela Congregacion de España y Indias” in 1879. From the time on, it is known and spelled as Bislig. Bislig is approximately 208 kilometres (129 mi) northeast of Davao City, 152 kilometres (94 mi) south of Tandag City (the provincial capital), 44 kilometres (27 mi) south of Hinatuan, and 158 kilometres (98 mi) southeast of Butuan City. Bislig has a land area of 40,503 hectares spread over 24 barangays, with close to half which are tropical rainforest is classified as “public forest”. Type II Climate characterized by no dry season and with a very pronounced maximum rainfall from November to January. The city enjoys steady weather condition being outside the typhoon belt. Bislig City is politically subdivided into 24 barangays. The former man-made "Causeway" island (currently secluded) and the St. Vincent de Paul Parish Church. At the turn of the century, Spanish Colonizers and Missionaries imposed the rule of Spain and brought with them Tagalogs, Ilonggos, and Cebuanos from the North as members of their expeditionary forces. Long before, it became a town on 1 January 1921 per Executive Order No. 62 issued by Governor General Francis Burton Harrison on 28 December 1920 with Primitivo A. Castillo as its first Municipal President, Vice-President: Sulpicio P. Laurente & Councilors: Ciriaco Alba; Bartolome Alvar; Higino Basañez; Escolastico Carmen; Tomas Masancay; Basilio Dua; and Macario Tenchavez. Bislig was already an established political instrumentality or "pueblo" in the Province of Surigao (now Surigao del Sur and Surigao del Norte). Earlier, the province was a part of an even bigger territory stretching from Northeastern Mindanao down to the island's Southeastern "pueblo" of Caraga and Man-ay in Davao Oriental. Caraga was originally the seat of political, military and religious authority. Since then efforts were made to improve and develop Bislig until the advent of Citihood campaign in 1999 and by virtue of Republic Act No. 8804 Bislig was converted into a component city duly ratified and approved in a plebiscite conducted on 18 September 2000. A local language, called Kamayo is sometimes used by the residents, though they usually use the more general Cebuano language of the region. A mildly busy street scenario in Barangay Mangagoy during both day and night time. Barangay Mangagoy is the center of trade and industry of the city which has a population of roughly 50,000 and is the largest barangay in both land area and population. Espiritu Street and the adjacent areas within is colloquially often referred simply to as 'Barrio' by the locals in which the business district in Mangagoy is located. It houses national and local banks. Telecommunication such as Internet, cellular phones, cable televisions and leased data lines are well-available in the vicinity of Mangagoy. There used to be movie houses as well. There are also accommodating inns and hotels, as well as motorized tricycles, jeepneys, and buses ply its concrete roads and highways. Bislig was the home of the defunct company PICOP Resources, Inc. (PRI, or previously known as the Paper Industries Corporation of the Philippines), which was the largest paper mill in Asia and one of the largest in the world. It is geographically situated at Barangay Tabon and its concession is a sanctuary of the Philippine eagle. The permanent shutdown was officially ruled on mid-2008. Aerial view of the now defunct PICOP Resources, Inc. (PRI) showing its former Paper Product Business Complex. The Tinuy-an Falls, located in Barangay Burboanan, Bislig City. A Philippine eagle found in the city's wild sanctuary. Known for its ecotourism, Bislig's main tourist attraction is the Tinuy-an Falls, known as the little "Niagara Falls" of the Philippines. It is a white water curtain that flows in three levels about 55 meters high and 95 meters wide. Its critically acclaimed majestic and unique natural formation was once appeared in the International Travel Magazine. It is also said to be the widest waterfalls in the Philippines. Other known tourist attractions include: the white-sand beaches of Hagonoy Island; the Lawigan Beach which faces and considered a part of the Pacific Ocean; the underground river of the educational Delot and Hinayagan Cave; the Togonan Cold Spring which is a 30-minute ride a far from the city proper; the wild sanctuary of the Forester's Park; the wide range waters of the Mone River and the man-made Lake 77 which offers a boat ride tour and a floating cottage ideal for picnic and fishing; the Kamayo Heritage Park; the Cawa-Cawa Sa Awog; the Sian Falls; the Garay Florland Highland Resort at Brgy. San Vicente; the Ma. Regina Inland Family Resort at Dao-Dao, Brgy. San Fernando; the Chocolate Beach ideal for the avid mud skim boarding enthusiasts; the newly developed Mabakat beach (the former Dampingan area) ideal for surfing aficionados; the International Doll House at the Ocean View Park in Barangay Comawas; and the City Baywalk Park. Trekking and bird watching could also be available in Bislig's densely natural forested areas. Bislig once hosted the annual festival called "The Karawasan Festival" during the charter day of the city which features an inter-school ethnic dance competition. Karawasan came from a local dialect which means "movement of the crabs". Karawasan was held every 17th day of September. It has been replaced by the "Tinuy-an (Sayaw) Festival" since September 2013. A fire dance showdown scene in Hagonoy Island. Tinuy-an Sayaw Festival : Bislig City's major festival celebrated every 17 September. It replaced the former Karawasan Festival as the city's major event since 2013. Charter Day Celebration : Celebrated from 16–18 September, the city celebrate its cityhood. Mangagoy Fiesta : Celebrated every 19 July, the feast day of St. Vincent de Paul. Sinulog Festival : Celebrated every third Sunday of January during the feast of Sto. Niño. Kawadang Festival : Celebrated every 21 September, four days after the Karawasan Festival. Poblacion Fiesta : Celebrated every 22 September, the feast day of Sto. Tomas de Villanueva. Uli Bislig : Celebrated every 16 September, it literally means "going back home to Bislig". Karawasan Festival (former/defunct) : As part of the Charter Day Celebration, a dream come true for the City Government of Bislig. Karawasan was a festival of ethnic dances depicting the movement of crabs. Karawasan is actually a collective name given to the member of the crab family found to be great in the salty and freshwater of Bislig. The lavishness of such local marine resource has, in fact, made Bislig City known to other places in the country. It has been replaced by the recently promoted "Tinuy-an Sayaw Festival" since. Bislig City Baywalk (now the Herculano Basañez Boulevard) with the "I Love Bislig" sign located at Poblacion, Bislig. From Manila or Cebu to Davao City as transit point, Philippine Airlines, Cebu Pacific, Cebgo and PAL Express ply the Manila-Davao vice versa (approx. 1hour and 45 minutes travel time) and Cebu-Davao vice versa (approx. 55 minutes travel time) routes with several trips daily. From Manila or Cebu to Butuan City as transit point, PAL Express, Cebu Pacific and Cebgo ply these routes three times a week (Manila-Butuan – approx. 1hour and 30 minutes travel time; Cebu-Butuan – approx. 45 minutes travel time). From Cebu to Tandag City as transit point (approx. 1 hour and 5 minutes travel time), Cebgo ply this route three times a week. Additionally, the concrete runway of Bislig's commercial airport can accommodate light commercial planes of the Fokker 50 class, though most of the time the airport is only used for the occasional private plane. In early 2012, Jetstream of Mid-Sea Express (later Fil-Asian Airways) announced the routes Cebu-Bislig v.v. and Davao-Bislig v.v. operational at the Bislig Commercial Airport occasionally and seasonally only which lasted until 2014. Private and government charter planes and choppers still usually land at the airport. From Davao: Air-conditioned vans may be hired for a 4-hour and a half trip to Bislig City at reasonable rates located in the Ecoland Bus Terminal. Regular trips of Bachelor Express aircon and non-aircon buses also ply the Davao-Bislig route as early as 2:00 a.m. daily. From Butuan: Air-conditioned vans may be hired for a 3-hour trip to Bislig City at reasonable rates located in the City Integrated Bus Terminal. Regular trips of Bachelor Express air-con and non-aircon buses also ply the Butuan route as early as 2:00 a.m. daily. From Tandag: Air-conditioned vans may be hired for a 2-hour and a half trip to Bislig City at reasonable rates located in the City Bus Terminal. Regular trips of Bachelor Express air-con and non-aircon buses also ply the Tandag route as early as 2:00 a.m. daily. From Catarman, Northern Samar (Visayas): In November 2015, Philtranco bus lines launched the route Catarman to Bislig via San Francisco, Agusan del Sur. From Cubao/Pasay (Metro Manila): As of March 2017, Philtranco bus lines launched the route Metro Manila to Bislig with Cubao and Pasay as transit points. Inter-island vessels like the Cokaliong, Lite Shipping Corporation, and 2GO ply the Manila-Butuan, Cebu-Butuan and Bohol-Butuan routes on regular schedules with Nasipit Port as transit point. Air-con vans are available at the wharf and in the Nasipit terminal. Bachelor Express buses are available in the Nasipit terminal as well for a specific schedule. One may also take a jeepney ride to the Butuan City integrated terminal for the regular bus trips to Bislig. The city had developed sea ports at Barangay Lawigan and Caramcam District in Barangay Mangagoy for the increasing demand of people travelling to other provinces. Currently, operations of the Lawigan sea port is placed on hold due to project constraints. Annual Reggae band competition is one of the city's local tradition. Amusement park locally called "peryahan" is very popular in the city especially during the feast day of Barangay Mangagoy. Telephone lines in Bislig are connected through PLDT, PhilCom (now acquired by PLDT) and Globe Home Phone (a subsidiary of Globe Telecom). Mobile communications are provided by Smart, Talk 'N Text, Globe, TM and Sun Cellular. 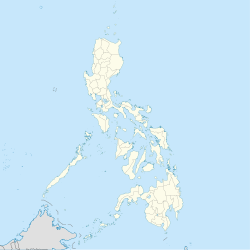 ^ "Province: Surigao del Sur". PSGC Interactive. Quezon City, Philippines: Philippine Statistics Authority. Retrieved 12 November 2016. ^ NSCB – 2001 Factsheet – 12 New Cities Created Archived 23 April 2006 at the Wayback Machine, July–December 2000. ^ "Province of Surigao del Sur". Municipality Population Data. Local Water Utilities Administration Research Division. Retrieved 17 December 2016. Wikimedia Commons has media related to Bislig City. Wikivoyage has a travel guide for Bislig. This page was last edited on 16 March 2019, at 07:54 (UTC).